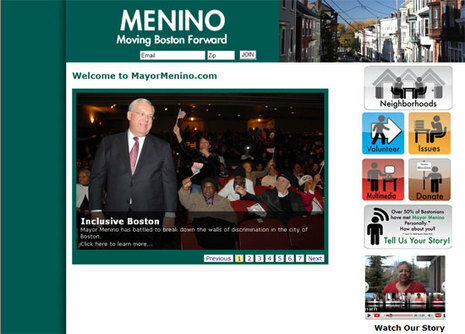 Mayor Thomas M. Menino launched a campaign website this afternoon that made it clear he is running for an unprecedented fifth term. Menino is expected to make the formal announcement this evening that he plans to seek reelection. The Globe reported today that the 66-year-old mayor had decided to run again. Menino is already on track to be the longest-serving mayor in city history, with 16 years and six months in office when he finishes this term in December. If he wins and completes a fifth four-year term, he would have spent more than two decades as mayor.